Marc and Greg are excited to present our 2nd Voltron Fan Cosplay Spotlight podcast with Leo Camacho, AKrCos, and Stephanie Michelle - 3 Cosplay Professionals who Disneybound, crossplay and genderbend their way into the hearts of Voltron cosplay fans. Also, we talk to Han Cholo CEO, Brandon Schoolhouse, who we'll see at ECCC and SDCC, and the Voltron Season 5 trailer is here! Leo Camacho has been an active member of the Cosplay community for years. Although best known for his Disney Cosplay, specifically Prince Eric, he enjoys playing characters from all different fandoms from anime to gaming to movies. Here's a look at his amazing Shiro cosplay, as well as Poe Dameron from Star Wars: The Force Awakens & The Last Jedi. AKrCos is a North Florida based crossplay and cosplayer. She began cosplaying in 2014 and creates costumes based on characters from all forms of media including anime, cartoons, comic books, and video games. She is proficient in sewing, wig styling, armor making, and countless other aspects that come together to bring fictional characters and heroes to life. She has guested at a number of cons and enjoys spreading her love for others and this lifestyle with fellow cosplayers and fans. Outside of cosplay she majors in Nuclear pharmacy and works for an international modeling agency. Here's a look at 3 of her crossplay characters from Voltron Legendary Defender: Shiro, Keith and Lance. 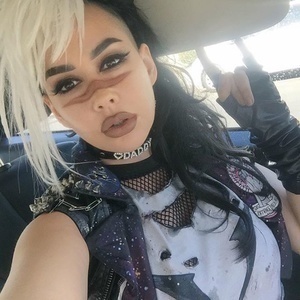 Stephanie Michelle is a Los Angeles based cosplayer and Youtuber most well known for her female versions of male characters and cosplay makeup transformation videos. Her female Shiro cosplay was retweeted by Josh Keaton who remarked her scar was the most "on model" he has seen. Stephanie has been featured as a cover model on the first ever issue of Cosplay Culture magazine, as well as a featured cosplay guest on The Phillip DeFranco Show. She enjoys ranting and raving about all things Voltron on her twitter, and spreading body positivity for all cosplayers. Here's a look at her genderbending Shiro, her modeling for Brooklyn Projects Voltron Line and her Voltron Punk Rock Group cosplay, featuring shirts from Hot Topic. Special Offer for Let's Voltron Listeners!!!! Go to https://www.hancholo.com/collections/limited-edition-voltron RIGHT NOW (until March 5th) and get 20% ALL Voltron Jewelry using code LETSVOLTRON (all caps) at checkout! Han Cholo is debuting their Stainless Steel Lucky Yellow Lion Paw Pendant at Emerald City Comic Con. You can stop by their booth at ECCC (Booth # 1417) and pick this up or go to their website and use the LETSVOLTRON code at checkout. This 20% OFF discount is exclusive to Let's Voltron Podcast listeners and will be available until March 5th. 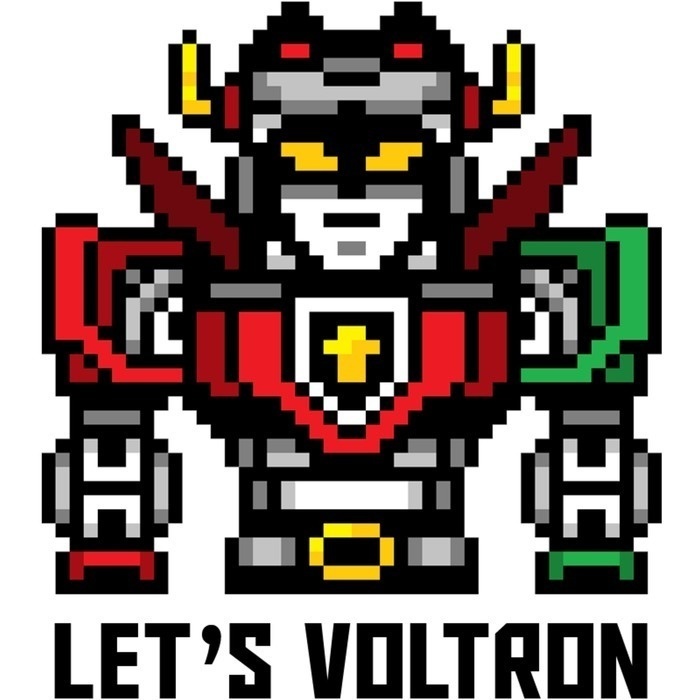 Listen to the podcast to hear Brandon talk about the whole line of Voltron products at Han Cholo! DreamWorks Voltron Legendary Defender Season 5 will debut on Netflix Friday March 2nd with six all-new episodes. Shocked by Prince Lotor coming to their rescue in the fight against the evil witch Haggar, the Paladins struggle with whether or not they can really trust him. Though suspicious, Team Voltron is able to liberate more rebels with the aid of Lotor's intel. Just as things start to look hopeful, Zarkon strikes, resulting in a shocking chain of events.